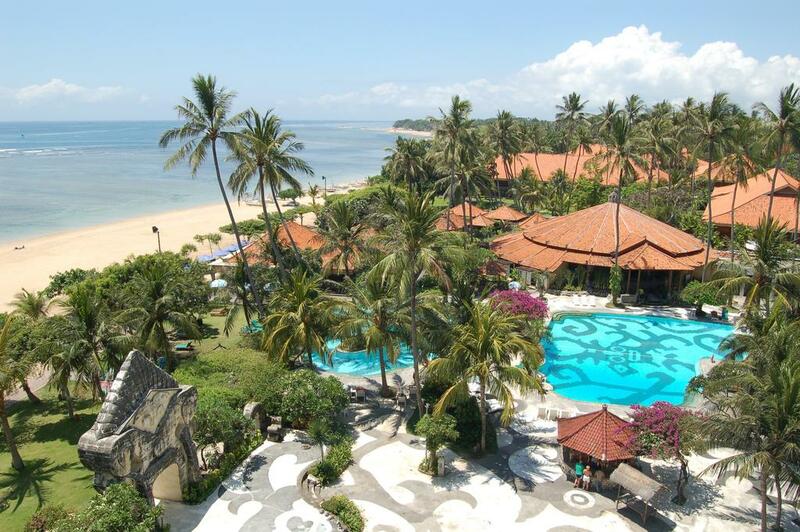 Enjoying beachfront location on the white sandy shores of Sanur Beach in Sanur, Inna Grand Bali Beach offers an accommodations with an outdoor swimming pool, three dining options, and free WiFi access in public areas of the property. Free on-site parking space is also available for guests who drive. It takes about a 5-minute stroll from the property to the culinary spot in the surrounding area. Shops and other dining options along Danau Tamblingan Street are reachable within a 15-minute walk. 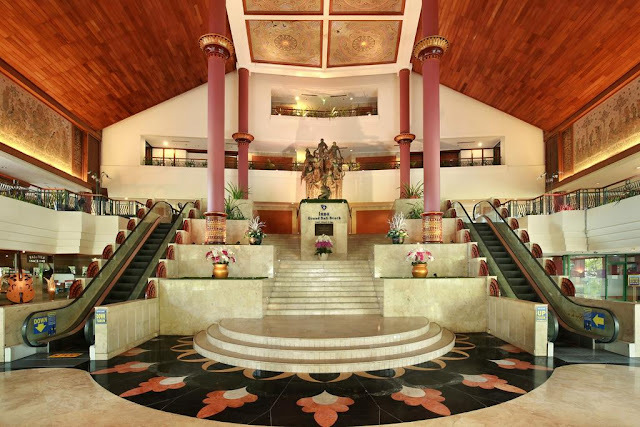 Getting to Bali Denpasar International Airport will take around 30 minutes by car, and the property offers shuttle service at an additional charge. The air-conditioned rooms at Inna Grand Bali Beach are all fitted with modern amenities like a flat-screen cable TV, a mini-bar, a personal safe and a wardrobe. The private bathroom features hot and cold shower and bath facilities complete with slippers and complimentary toiletries. Towels, linens, and an electric kettle are also available in the room. Guests can also enjoy views of the garden or the sea. 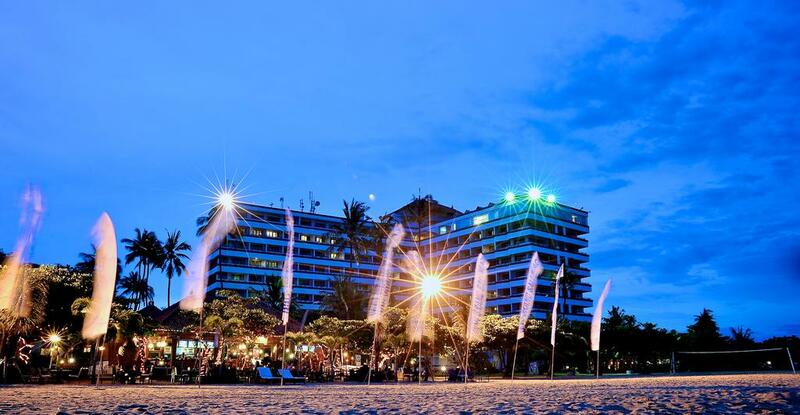 Staying at Inna Grand Bali Beach, guests can take advantage of the exclusive facilities like free access to the fitness center. The staff at the 24-hour front desk can assist on laundry requests, arrange massage treatments at the on-site spa and wellness center, and organize meetings at the meeting/banquet facility, all with additional charges. As for dining option, the property offers its 3 on-site restaurants. Bali Kopi Shop opens for breakfast, lunch and dinner serving Asian, Indonesian, and Western fusion dishes. For seafood, guests can head to Baruna Seafood Restaurant. Tirtha Pizzeria offers a range of Italian cuisine.